Did you know that occasionally replacing key parts is an important part of vehicle upkeep? At Roesch Ford in Bensenville, IL you can find genuine OEM Ford parts for favorite truck or car, whether that’s a new 2017 Ford Escape SUV or an older model of the Ford F-150 truck. 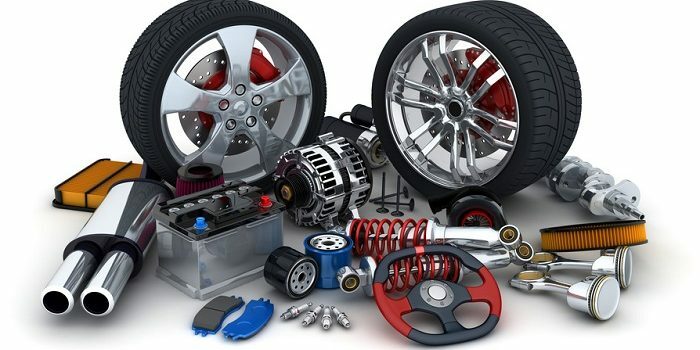 Just let us know which parts you need by visiting our parts department online. You’ll find an easy-to-use form that only takes a few minutes to complete. Just make sure you know your vehicle’s year, make, model, and VIN number before you begin. If we don’t have the part you need in stock, we’ll order it for you and let you know when it’s available. If you’re not comfortable especially tech savvy, you can simply call our parts department at (888) 880-4608 and we’ll be more than happy to help you. At Roesch Ford, we also offer Ford accessories. In fact, we’re running a 10 percent off special right now if you purchase your accessories through the Roesch Ford Parts Counter. Our Ford Service Department can install your parts for you. For your convenience, we have extended service hours from 7:30 a.m. – 7:00 p.m., Monday through Friday, and from 8:00 a.m. – 4:00 p.m. on Saturday. We also offer free online videos that will help you understand better how to care for your vehicle. If you need to replace a part, for instance, you might enjoy watching our OEM vs. Aftermarket Parts video, which will make the difference clear. At Roesch Ford, we believe that genuine OEM (Original Equipment Manufacturer) parts are the best kind to use, because they were created specifically for your vehicle by the original manufacturer of your vehicle. In other words, if you drive a Ford vehicle, the OEM part comes from Ford. Since aftermarket parts are made by someone other than the car’s maker, the replacement part could change how the car performs or how it looks. So please, make sure you always buy genuine Ford parts, and find them here at Roesch Ford.